Scenic Eclipse, Crystal Endeavor, and Seabourn Ovation join the luxury set, while Ponant will offer its passengers underwater lounges on four additions to its fleet. New ships, new ports of call and a voyage around the world in 180 days are on the horizon over the next two years. 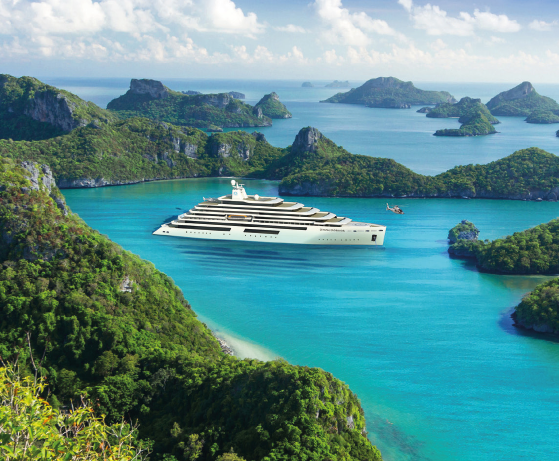 Megayachts Scenic Eclipse and Crystal Endeavor will be among the newcomers, while Seabourn is launching Ovation. Ponant is gearing up for four new ships, all with an underwater lounge. Scenic is hailing Eclipse as ‘the world’s first discovery yacht’. It will launch in August next year to carry 228 guests – down to 200 while in the Arctic and Antarctic. Each of the 114 suites will have a private veranda, lounge and butler service. While guests will have the choice of nine dining options, the smallness of Eclipse – at only 16,500 tons – means it will be able to dock in more remote ports. But it’s big enough to boast two helicopters and a submarine. The 25,000-ton Crystal Endeavor will launch in 2019, cruising polar regions during the summer and autumn and following the route of migrating whales to Antarctica during the winter. A remote-operated vehicle will allow passengers to see sunken galleons, warships and liners such as Titanic. 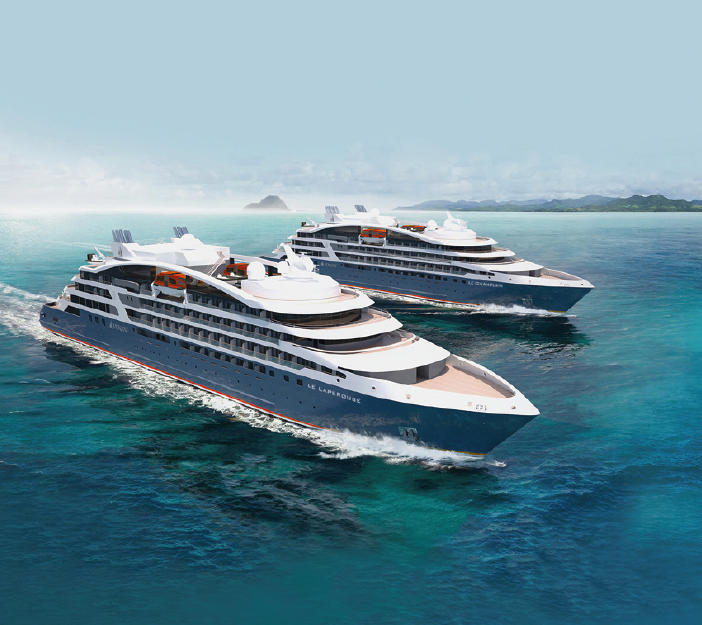 Ponant is set for a busy couple of years with the arrival of Le Lapérouse and Le Champlain in 2018 and Le Bougainville and Le Dumont d’Urville in 2019. All will have 88 cabins and four suites, each one with a balcony. The ships will also be the first in the world to have an underwater lounge, the Blue Eye. Seabourn is introducing its latest ship – Ovation – in May 2018. Like Encore, launched this year, it will carry 600 guests, all with a private veranda, and measure 40,350 tons. 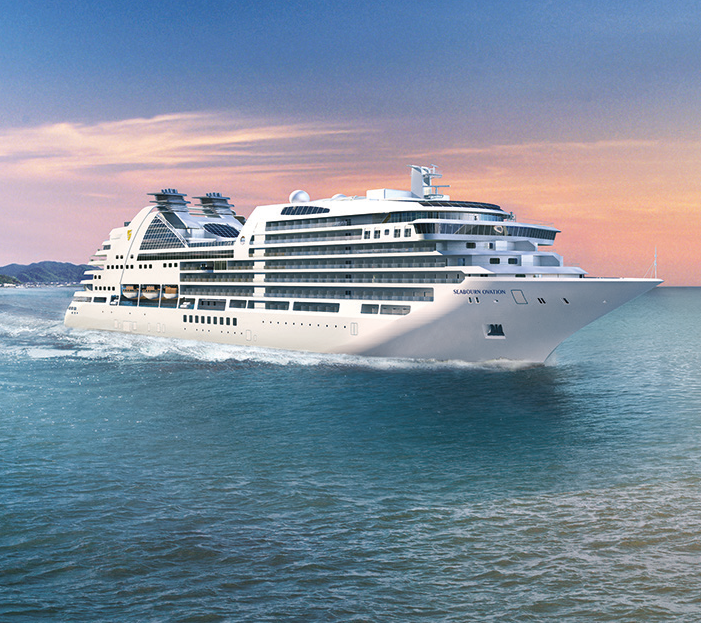 “Seabourn Ovation will carry on the standard of ultra-luxury cruising that can only be found on Seabourn. We can’t wait to welcome our guests on board,” said company president Richard Meadows. After some delay in construction, Star Clippers will finally say hello to Flying Clipper, the largest sailing ship in the world, with five masts and room for 300 guests, next year. Many luxury lines are adding new destinations and overnight stays in the next two years. But the ultimate cruise for 2019 must be the 180-day world voyage on Oceania Cruises ship Insignia. It will travel 45,000 nautical miles across two oceans and 16 seas while visiting 90 destinations in 36 countries. For the first time in the history of Crystal Cruises, both Crystal Symphony and Crystal Serenity will embark on world cruises next year, offering travellers four separate global itineraries. With the ships meeting in Sydney on February 17, 2018, guests can switch vessels for a new route. Ranging from 97 to 129 nights, the voyages will travel to a combined 111 destinations in 45 countries with 50 overnights. Silversea is sailing a 132-day world cruise in 2019, with Silver Whisper calling at 52 ports in 31 countries across five continents. Nine writers, including Paul Theroux and Pico Iyer, will be invited on board to create short stories inspired by the destinations. 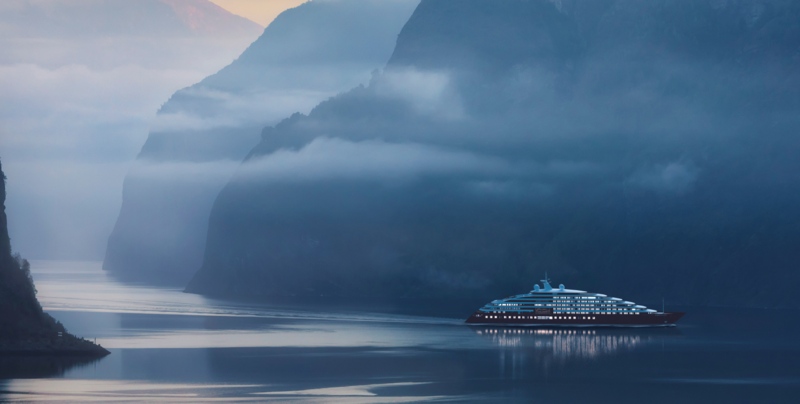 Cunard has launched its Oceans of Discovery programme for January to May 2019, including the cruise line’s first return to Alaska in more than 20 years with Queen Elizabeth. Queen Victoria will do a full 107-night western circumnavigation of the globe. Regent Seven Seas is offering world cruises next year and in 2019 on Seven Seas Navigator. Looking even further ahead, it has announced a 131-night world cruise on Seven Seas Mariner, departing from San Francisco on January 24, 2020. Boutique line Azamara will call at 45 maiden ports and offer 94 overnight stays in 2019. There will also be nine voyages that concentrate solely on one country – for example, Japan offers 13 ports in 15 days. Calls to the new destination of Alaska will feature many late-night stays. Europa 2 is going into dock this September for a refit that will allow an hour’s free internet use a day for all passengers next year. The ship will offer special art, sport, music and fashion voyages.